Leonards Music is proud to offer high quality instruments for sale and on a rent-to-own basis. We offer respected brands such as Jupiter, Buffet, Eastman and many others. 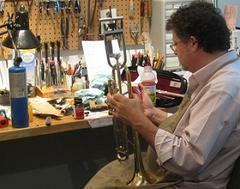 Leonards Music has been providing expert repair service to its customers for over 35 years.